Summer is ending and fall is getting ready to start. This is a good opportunity to start making room for fall apparel by featuring a summer clothing closeout. With the weather cooling down a bit and schools starting up, now is a great time to start featuring commuter friendly bikes. August also means that cyclocross season will soon be upon us, get a jump on the hype by featuring your selection of cyclocross bikes. 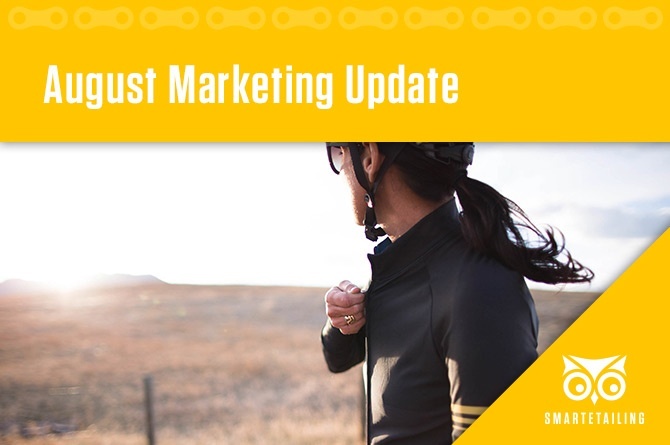 These marketing materials will help you finish off the summer strong with graphics for Labor Day, cyclocross, bike service, and more. This month, we are introducing new landing page layouts that will help drive sales for featured categories.